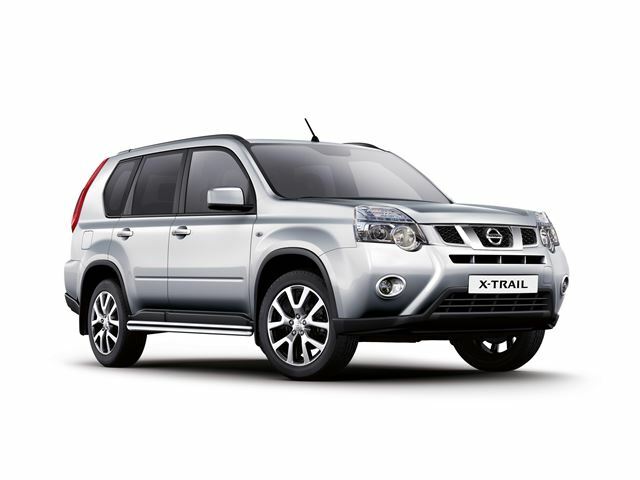 Nissan's dependable - but often overlooked - X-Trail is now available in n-tec+ specification. The new grade sits between Acenta and top-spec Tekna models and gains 18-inch alloy wheels, a chrome finish to the front fog lamps and side bars with side steps. Inside the cabin the X-Trail n-tec+ gets Nissan Connect with a five-inch touchscreen satellite navigation system and Bluetooth connectivity for hands-free telephone calls and music streaming. n-tec+ specification also adds a panoramic sunroof, keyless entry and Nissan’s 'Around View Monitor 360' degree parking system. It uses front, rear and passenger side cameras to give a bird’s-eye view when maneouvring. Standard equipment includes climate control, cruise control, automatic headlights, rain-sensing wipers and rear privacy glass. The X-Trail n-tec+ is on sale now and costs £27,790 and - for a limited time - is available as a 'complimentary upgrade', which will result in a £2,000 saving, the equivalent of X-Trail n-tec+ being £25,790 – the same as an Acenta model. It's also on offer with with three years zero percent finance and three years for £399. More Nissan Prices and Specification.